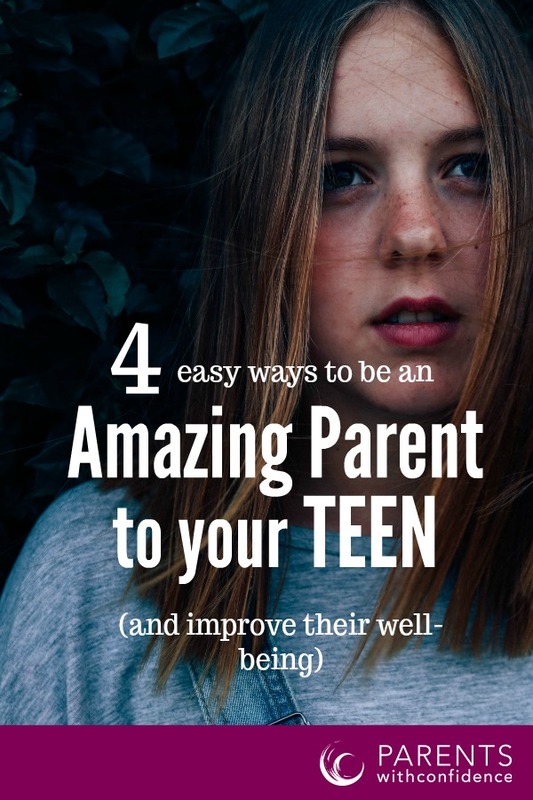 Inside: Learn four essential ways to be the best parent to your teenager while also enjoying this stage of their growth and development. *This post may contain affiliate links which allow me to hook you up with the best parent resources and help the website keep running in the process! For decades the teenage years have been foreshadowed by fear and negativity. My oldest daughter just lost her second tooth and I am already breaking out into a sweat thinking about the hormonal years that lie ahead. You know, what if it doesn’t need to be this way? Or worse yet, what if the catastrophizing and siphoning of negative energy into this period of development could actually foster a self-fulfilling prophecy? Based on the enormity of research on the power of positive thought, it bears consideration that we re-frame our thoughts around the teen years. Adolescence is an inevitability parents can’t escape. Instead of running from it, let’s shake hands with it, and make a plan to confidently lead our children through these pivotal years, while also attempting to retain our own sanity. 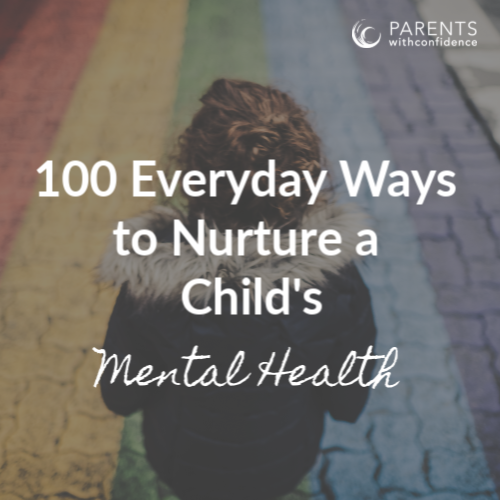 A fantastic place to start is with a focus on what we can do as parents to encourage the well-being of our child throughout the teenage years. If you haven’t figured out the harsh reality that we aren’t capable of controlling another human being yet, you soon will. Luckily, there is, in fact, something of fundamental importance we can control with our teen: the emphasis and effort we put into our relationship with them. Many parents quickly find that punishments and control tactics that may have worked previously are no longer effective at this age. So, how do we get our teens to listen and respect our authority? Retire the iron fist and let a trusting relationship based on love and respect do the talking. 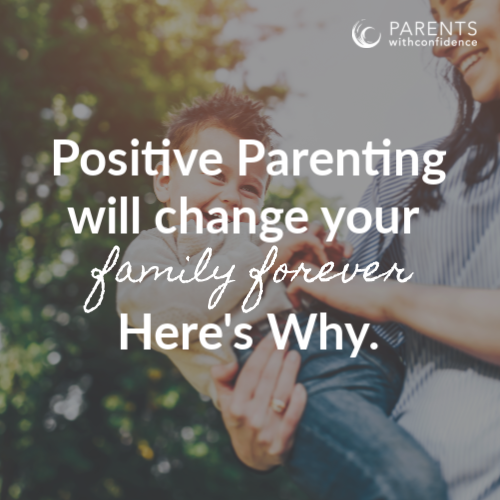 Research has consistently found that positive child-parent relationships are associated with better academic, social, and emotional and behavioral outcomes. 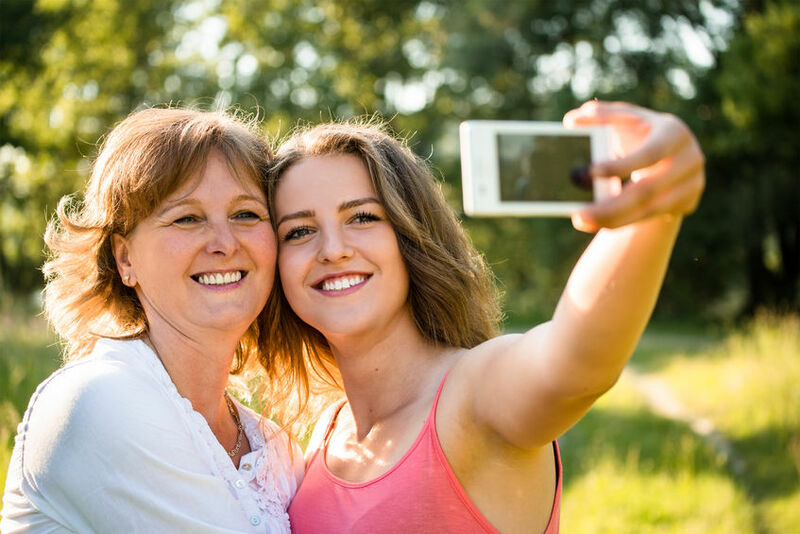 Here are some ways parents can foster a close connection with their teen. Listen more than you talk. Way more. Your teen is majorly turned off by lectures and harsh judgments. Empathize with them before responding. Affirm and validate their feelings, even when they may not always exemplify the picture of logic or reason. Make yourself available, even when it’s inconvenient. Your teen will likely not want to have a heart to heart during a family dinner but may engage you in conversation after a late night basketball game. Communicate with respect. Due to teenage moodiness and irritability, disagreements with your teen are inevitable. However, they don’t need to damage the connection with your child. Monitor your tone of voice and nonverbal cues with your teen. If they feel respected, they will be more respectful of others, while also learning important communication skills to take out into the world. In order to cope with the emotional ups and downs of having a teenager (both theirs and yours), self-care is a must. Self-care is one of those topics that has become a bit cliche, and possibly a bit abstract. Essentially, we must be mindful and aware of what’s going on within ourselves in order to be in a place where we can be responsive to our teens as opposed to reactive. (And let’s be honest, they’ll give us plenty of chances to react). 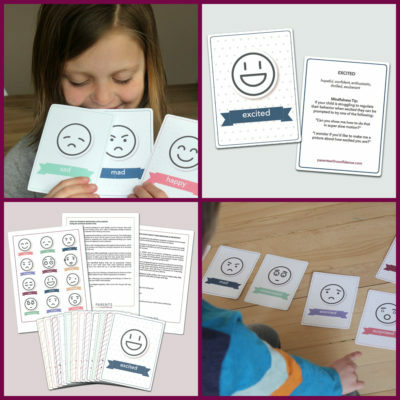 Your child needs you to model self-control and emotional regulation now more than ever. Be aware of what triggers you. If you find yourself having strong emotional reactions to certain behaviors, there is likely a reason. Triggers with our teens commonly stem from things we experienced in our own adolescence or fearful thoughts regarding our children. Taking some time to pause, take note, and separate these from your current parent-child relationship will relieve your child of your emotional baggage. Acknowledge your thoughts and feelings. Sound hippy dippy? It’s not. Neuroscience shows us that if we don’t work through what’s happening on the right side of our brain (our emotional center), we can’t fully utilize or engage with the left side (responsible for logic and abstract thought). Adolescence can be an emotional landmine for parents. Allow yourself the opportunity to confront thoughts and feelings about your changing family, whether it be quiet reflection, chatting with a friend, or journaling (check out this new and AMAZING journal for teens!). Your child’s teen years are formative in their exploration of their own identity and how they fit into the world around them. They are figuring out their gifts and talents, as well as what challenges them. Not surprisingly, this is a common area for parents to become over-invested, given our own hopes and fears (and biases) for our child. What better way to encourage your child’s self-exploration and discovery than pursue your own interests alongside them? Encourage your exploration of new experiences and interests, while also giving them space to make their own choices. Be open to new things yourself. Always wanted to try yoga? Now’s the time. What better way to show our teens that the possibilities for self-discovery are endless, whether it be honing a new skill or initiating a new friendship. When we as parents are fulfilled, we alleviate our children of the burden of meeting our own emotional needs. Right about now you’re seeing some amazing talents and personality traits emerge from your child. Help them acknowledge their natural gifts and talents. Notice and point out how much they seem to enjoy science experiments, or how they really seem energized while reading a new book. This helps them foster greater self-understanding. Teens have a massive amount of tasks to master in order to be prepared to launch out on their own – the most primary of these being tasks to prepare them to provide for their own basic needs, such as self-grooming and making choices about sleeping and eating. Now is a great time to sit back, and let your teen assume more responsibility. Give your teen increased opportunities to take responsibility for the completion of daily tasks. Unseat the allowance czar and give your teen a monthly sum of money (for necessities such as gas, food, and clothing) to use at their discretion. It likely won’t take long for them to learn some painful, yet effective lessons in saving for special purchases and budgeting. Share your office manager role, and let your teen assume some responsibility for setting family responsibilities and expectations. You’ve shown your child what your values and expectations are. Now is a great time to let them weigh in by cultivating their own goals and expectations for themselves. If we approach the teen years right we can all find our Zen. Let’s be real. Parenting a teen will no doubt present many unique challenges and emotional hurdles. Parents still play a major role in their teens lives and will continue providing consistent guidance and limits for their child. But let’s not make this time any harder than we need to. Be intentional about embracing these years of extraordinary cognitive, emotional, and physical development and try to find the moments of zen within. P.S. Your teen’s MINDSET is everything! Help your teens develop the mindset of growth, resilience, and positivity. 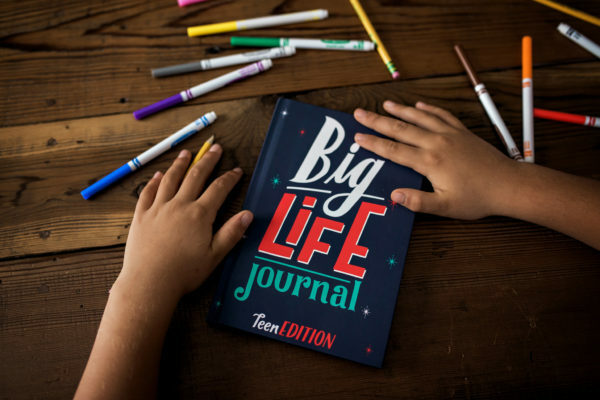 Big Life Journal – Teen Edition is available on Kickstarter NOW! MINDSET is everything! Help your teens develop the mindset of growth, resilience, and positivity. 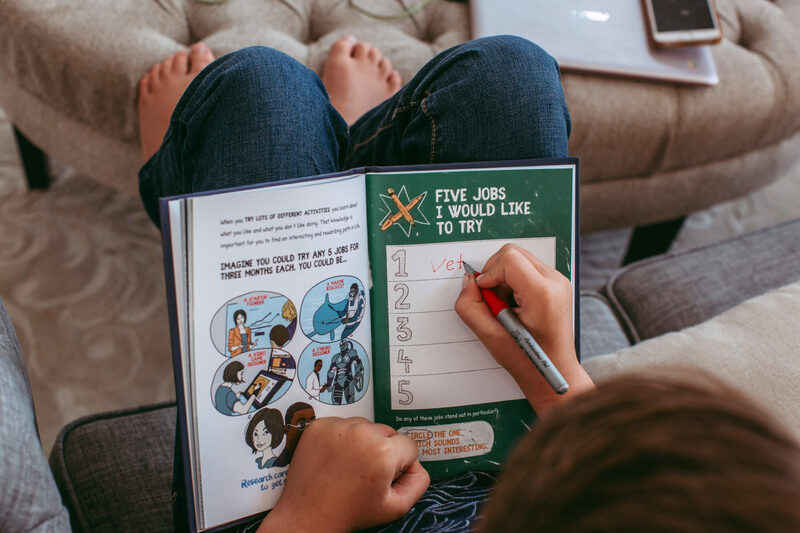 It is an illustrated and guided journal which helps tweens & teens discover the power of their mindset, learn how to establish goals, and strengthen their persistence to make those goals a reality. This journal cultivates the drive, the decision-making, and the skills necessary to take control of their own lives. Teens learn how to discover themselves and their interests more deeply, use their unique gifts and transform our world! Pre-order a copy for your tween or teen today! I love this post! I have 2 boys – an 8 year old (who’s already starting to spread a little sassiness!) and an almost 6 year old – and I have the teenage years fear as well. When I worry about those years, I realize that the best way to impact those years is to strengthen our bonds NOW! Thank you for writing this! So glad it resonated Karen!! It is nice to feel like we can be proactive, right?